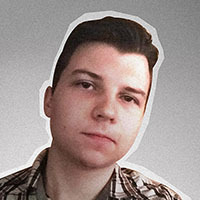 While Ethereum founder Vitalik Buterin thinks that the days of 1,000-times growth are over, a new DataLight report shows otherwise. Yes, the general public is more aware of crypto than four years ago, but the market is still extremely volatile, which still allows crypto enthusiasts to witness huge price spikes. As the report shows, the VIBE cryptocurrency becomes the top gainer of the previous month with a gargantuan 315 percent increase over the last month (since Aug. 21 till Sept. 21). The project behind the VIBE token is targeting the virtual reality (VR) entertainment industry. 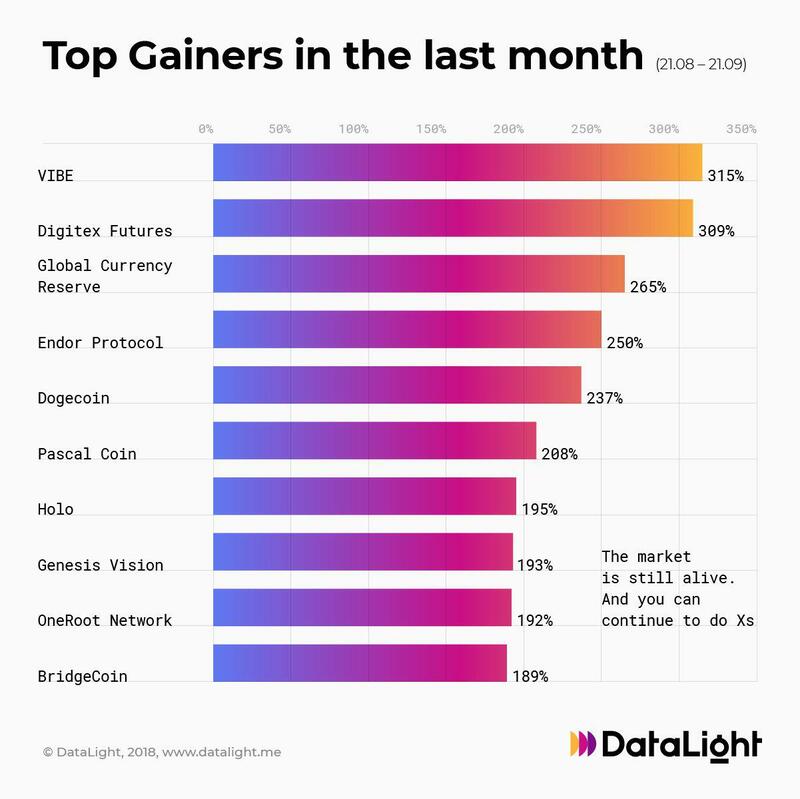 Digital Futures (DGTX) is in second place, trailing VIBE by only six percent. In just one month, the coin rose by 309 percent. Global Currency Reserve (GSR) also appears among the leaders with a 265 percent spike. Dogecoin (DOGE) takes fifth place, surging by 237 percent. The famous “joke” coin made numerous headlines in recent weeks due to a huge spike in price linked to the launch of the Dogethereum fork. As U.Today reported earlier, the coin also managed to crack CoinMarketCap top 20. Other top 10 appearances include Holo (HOT), GenesesVision (GVT) and BridgeCoin (BCO).